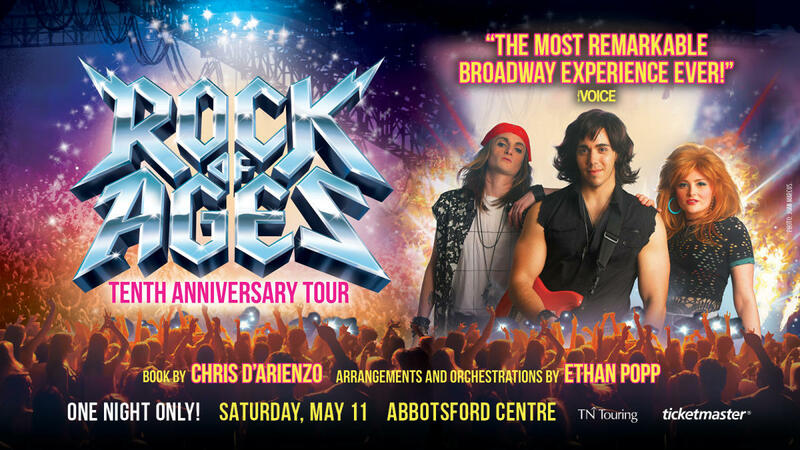 True North Touring and Quatro Entertainment are proud to present the mind-blowing, face melting, nothin’ but a good time, audience favorite ROCK OF AGES Tenth Anniversary Tour in Abbotsford, May 2019. Nominated for five Tony Awards®, including Best Musical, the all new production will take place at Abbotsford Centre on May 11 for one night only. Tickets go on sale this Friday, December 7 at 10 am and start at $49.50 (including tax plus applicable service charges). Tickets will be available at the Abbotsford Centre box office, online at Ticketmaster.ca, and by phone at 1 – 855-985-5000. 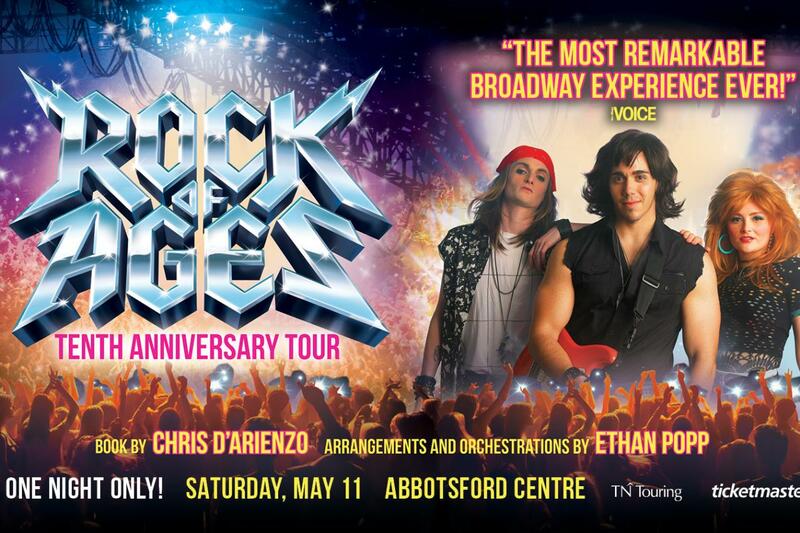 For a sneak peek of the ROCK OF AGES 10th Anniversary Tour, click HERE. For more information on casting and dates, visit the tour website at rockofagesmusicaltour.com.